Situated in a serene area and in-between the local habitat, Hill Blue Sapphire is a simple and modern place for various travelers to experience the life in Jaipur closely. The ambiance of the hotel is soothing. The spaces are well-lit and the earthy decor is defined by the art frames of various deities that put up in the premises. 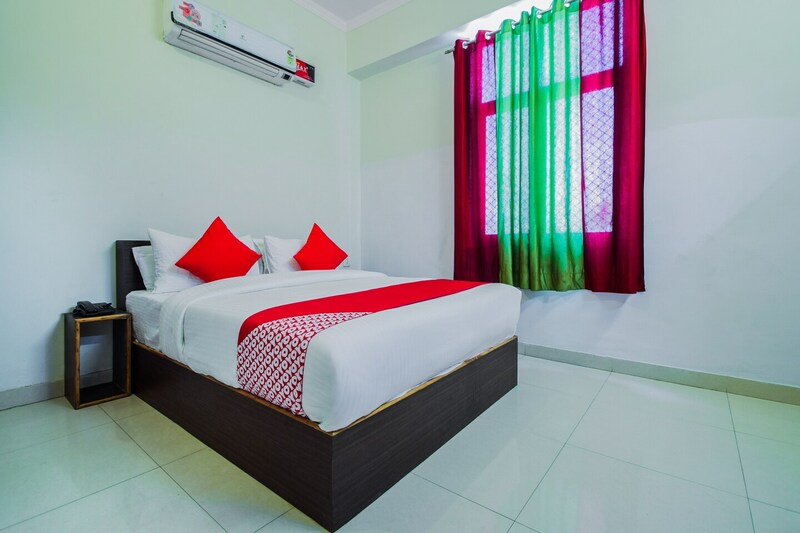 The unique and minimal rooms in the hotel are pleasing with colorful curtains that add charm to the simple stay. Guests can avail the facility of free Wi-Fi to connect with the internet. Other facilities offered by the hotel include CCTV cameras, power backup and laundry services. Various restaurants around the place offer a variety of local cuisines for you to indulge in along with shopping hubs that make for a happening stay.